I don't know about you lovelies but I consider myself to be a hands-on, Do-It-Yourself kind of girl. I enjoy gazing through the stationary aisle, through quaint old craft stores and through street stalls for items I believe I can fix, mend, add, subtract and beautify. And often enough, when you try your hand at a project, like my previous glitter accent project, you can save tonnes of money, you can try your own take on a current trend and you can add your own personalized touch to something because well, you are the one who makes it from scratch. Now getting down to this post; since I enjoy carrying out such projects every other week or so, I have a delegated space and bag in my closet for my art supplies so that it's more organized and simple when I have a creative burst. So all my DIY dolls, you're in luck because in this post I will be showing you what essential items you should have on hand to create something for yourself or just spruce up an old top. 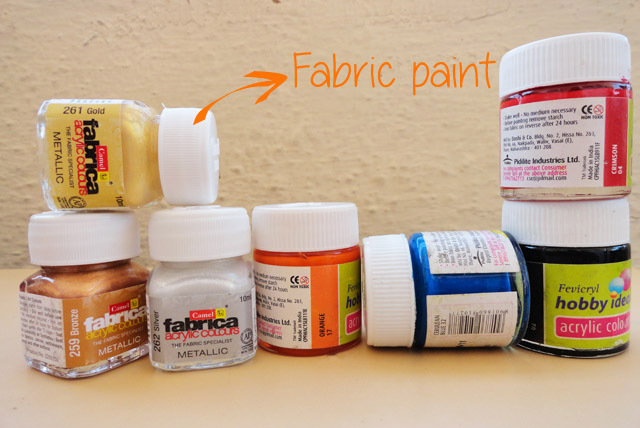 I don't know if it is some kind of sorcerer's potion but truly, fabric paint is magic in a bottle. I own a wide range of solid colours, the basic necessities of black and white and even a few metallic hues in bronze and gold. From making an old pair or shoes look new again to making a dull necklace more bronzed, these colours can paint over most surfaces and can reinvent a boring old piece of clothing. 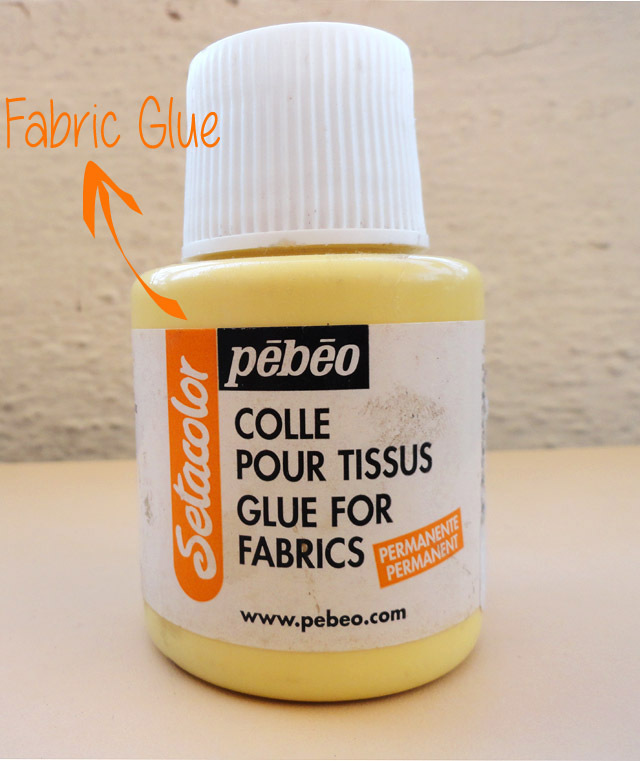 Fabric glue can do almost everything except mend a broken heart. It can fix the unexpected popping of a button or help you jazz up a blouse with added embellishments, though for heavier fabrics, a stitch or two would be recommended before the glue is added. 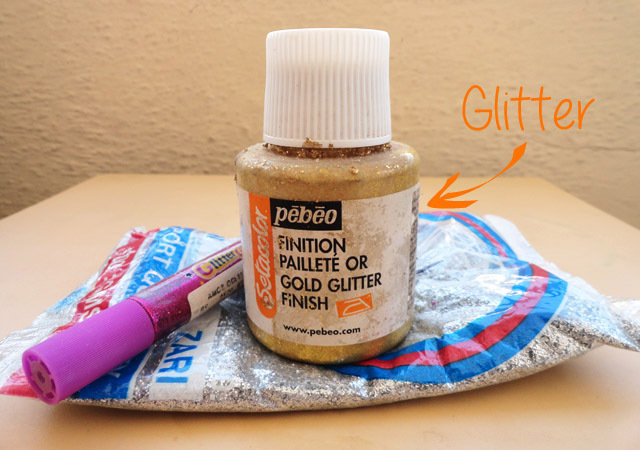 For application and mixing of paints, colours and glitter; a palette with a number of partitions and a few brushes come in handy. 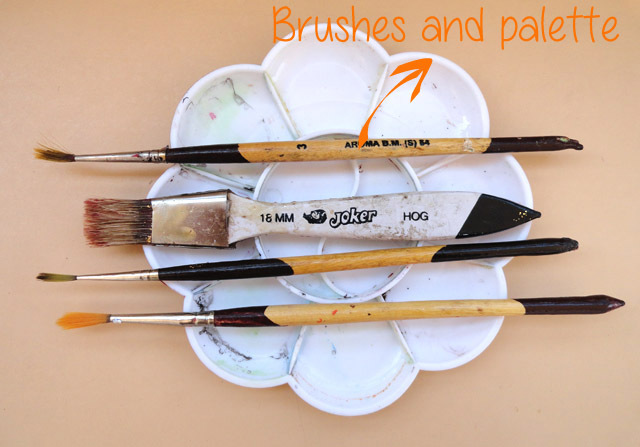 Pick a couple of varied sizes of synthetic brushes like seen above to make your painting either intricate or fast. And no matter how lazy you get, wash your palette and brushes once you're done or else they'll be clogged and cakey the next time you want to use them. Scout streets, craft stores, stationary stores and your grandmothers cupboard for pretty embellishments to add to your existing clothing and make it look better. 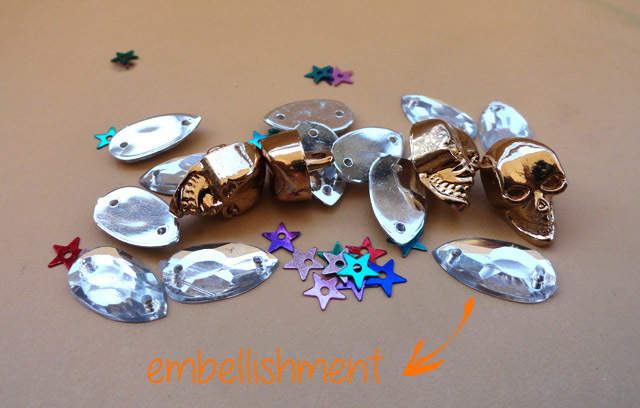 The best thing is, such embellishments like the rhinestones and skulls above can be easily attached with just a stitch and the star sequins, being flat can be stuck with a drop of fabric glue. 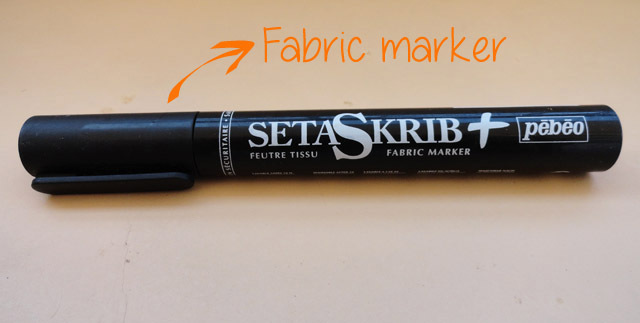 Finally, a fabric marker is so essential to draw outlines to your painted portions, to make markings on clothes or to doodle on a tshirt. While you can buy them in a number of colours, make sure you pick up a black one since it can turn out to be quite necessary. I've had such a blast putting this post together and I do hope you guys enjoyed it and soon have an DIY bag put together for those boring summer afternoons. Do let me know in the comments if you want to know the details of any of the products in the pictures. I'm looking forward to your response because I'm hoping to do a number of DIY posts this summer! 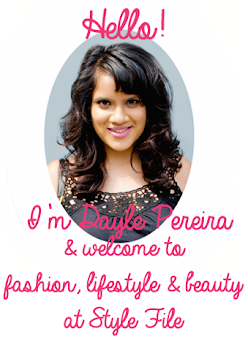 Happy weekend dolls! Go ahead and celebrate it with a DIY project!